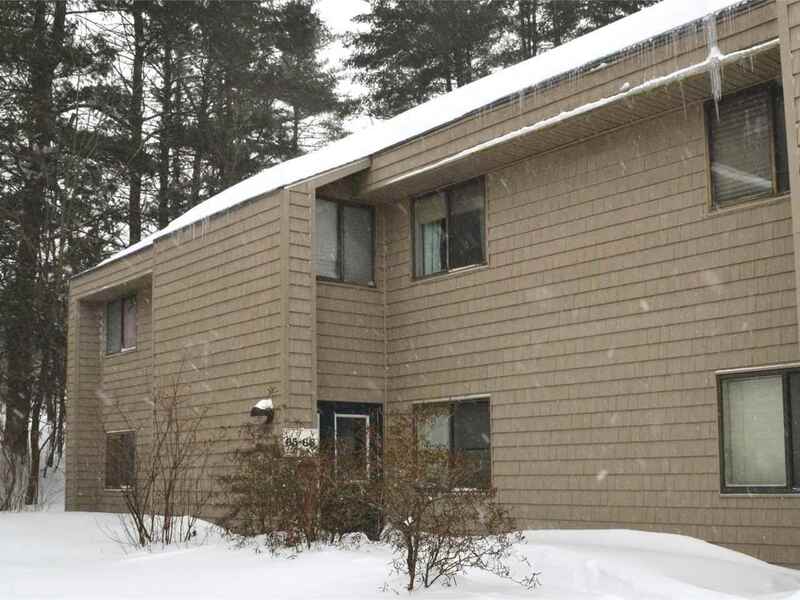 Extremely private two bedroom, one bath, first floor, end-unit condo with bright floors, an open layout, and wooded back deck! A spacious entryway with ample closet space and coat hooks provide plenty of room for storage. Washer/Dryer are also conveniently located in these closets. Entryway opens to the full bathroom, which has been recently updated with a new shower/tub insert. To the right the home opens to a bright kitchen, with plenty of counter and cabinet space, which overlooks the dining and living areas, as well as the back deck. Two bedrooms are found at the other end of the condo, both spacious with ample closet space. A carport parking spot with overhead storage space and a lockable closet is included. Seasonal amenities include a pool and tennis court! Secluded unit, yet close to shops, restaurants, bus line, and all that South Burlington has to offer.